Cameron was quite excited about Katherine's birthday this year! He helped Jane create a photo book that contained lots of pictures of he and "Ah-Dah" (Cam's nickname for Katherine). He had a balloon bouquet all ready for her when she arrived at his house on Thursday and he helped her open a funny card that sang! 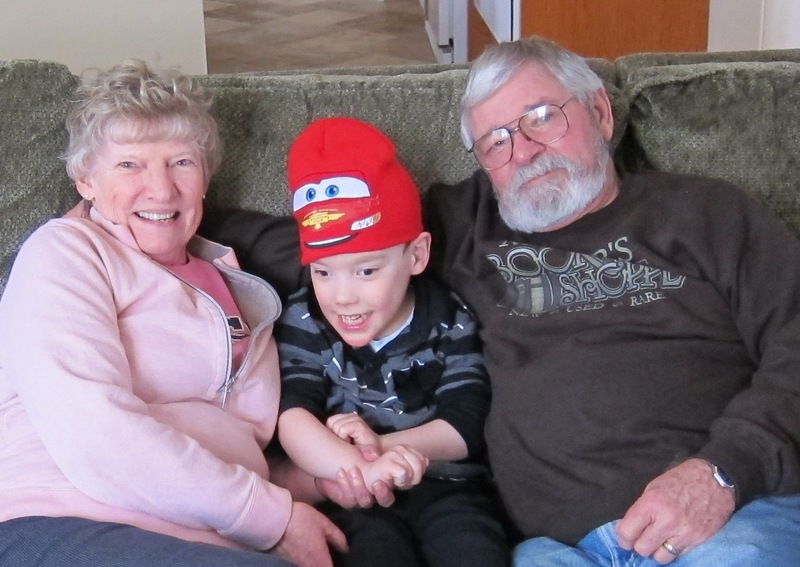 A fun activity included some egg coloring with Grandma. Cameron had a good time "basting" the eggs with color, dipping them with a whisk. 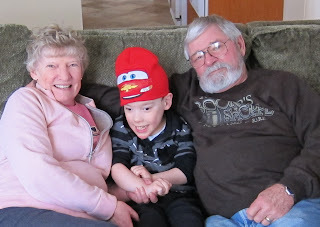 Many Thanks to Oma & Opa for providing Cam with some special grandparents time! The pretty colors on the eggs held the promise of spring. Even though some snowflakes made their way into Michigan this week, we're hoping that groundhog redeems himself with his early spring prediction!